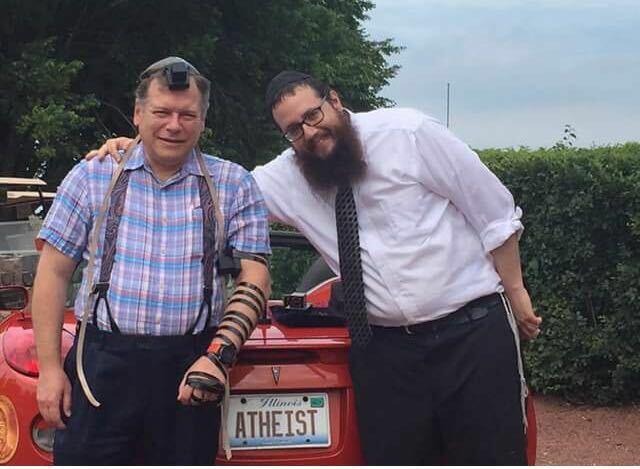 Oy it’s not easy to be a Jew… and an Atheist! 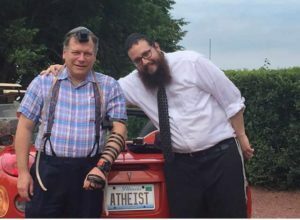 Many Jews would like to consider themselves atheist but it is not as easy as it seems for a Jew! Many would claim that finances should determine how many children we have. If you can’t afford it, don’t have babies. The stork should be strictly cash on delivery. Debt and diapers don’t mix. It’s all about the bottom line. That sounds reasonable. But let’s see if it makes sense. How are we supposed to measure how many children we can afford? Does anyone know the future to be able to say for sure what size family we can or can’t fund? Who can say for certain that they can even afford one child? A family is not a business. It’s about people, not profits. Having a big family is making a choice that my wealth is my children, and though I don’t know what the future holds, I will do all I can to provide for them in every way. If that means sacrificing then every sacrifice is worth it. There indeed are situations where Jewish law limits our multiplying. But that will be determined by their spiritual mentor and their health practitioner, not their accountant. I have often heard people say they wish they could have had more children. I have never heard anyone say they wish they had less. Each new soul is a blessing to the world and a blessing to the family. You think you can’t afford to have another one? I think you can’t afford not to. When you are criticized you have a choice: you can become defensive and reject the critique or you can take the 1% of what the person is saying as a means for you to grow (even if it’s your spouse)! Desserts to Celebrate Receiving the Torah?! Shavuos is when G-d gave the Torah to the Jewish people at Mt Sinai. So why is it celebrated by eating cheesecake, rather than something a little more spiritual? Is it not ironic that the holiest event in history is acknowledged by indulging in cake? But I think there’s probably more to it. Spirituality existed long before Judaism. People prayed and meditated, brought sacrifices and served their deities many centuries before Moses climbed Mt Sinai. Judaism didn’t invent spirituality. It was around before. But what was not around before was the idea that your physical life can be made holy. People knew that G-d was in heaven, but never dreamed that you could find Him on earth. All pre-Sinai religious thinking went along the same lines: we are physical beings in a physical world, G-d is a spiritual being in a higher world. To reach G-d, we must negate our physical self and reach toward heaven. Suddenly the Torah came along and said something no one ever thought could be true. G-d can be found in cheesecake too. You can’t limit G-d to being only in the spiritual. He is infinite, which means no place is too low for His presence. You can find G-d right here in the physical world. It may take some work, but that’s what we are here to do, to transform our bodily self and our physical world into a home for G-d. While other spiritual traditions emphasized abstinence, celibacy and other-worldliness, Judaism emphasizes this-worldliness. The commandments of the Torah enjoin us to create sanctity in our family life, to view the home as a sanctuary, and the workplace as an arena for kindness and integrity. Don’t seek G-d in the heavens, reveal Him right down here on earth. So we celebrate the giving of the Torah by eating cheesecake, one of the most physical and indulgent activities you could possibly imagine. Because to find G-d in the middle of a meditation is nice, but to find G-d in the middle of dessert, now that’s DIVINE. All You Need is LIKE! Is Love All You Need?! Nah actually in daily life liking is more difficult and possibly more vital than loving. You love your parents. You love your brothers and sisters. You love your children. But you don’t necessarily always like them…. Sometimes you love your husband, or your wife, but you have a hard time liking him or her. What is the difference between “liking” and “loving”? Love comes from our sameness; liking comes from our differences. Loving someone underscores your shared identity, while liking another person emphasizes your distinctiveness from each other. I love you because you and I, in a very deep place, are one. You and your parents, you and your siblings, are connected in a very real way. There is love there, even if it is repressed and complicated. When I like you it means that I appreciate your unique personality and character traits. I like you not because we are one, but because we are different, and your individuality enriches and enhances my life.